Notes: Zumreed's Sfit Graphic Headphones feature a range of trendy designs while mixing colors and graphic patterns. 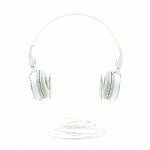 At the same time it combines the classic headphone outlook, creating a simple fashion but with individual style. 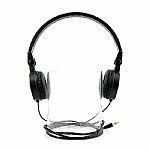 The Sfit Graphic Headphone is lightweight, compact, and convenient with its folding mechanism. The earpads are smooth and soft to stay comfortable on the ears. Notes: Introducing the Zumreed color collection, the Sfit headphones are smart and slim and come in ultra stylish colours with mirror finish. They feature simple and convenient white headband with foldable mechanism. You can listen boldly with these style-defining Zumreed headphones.